I'm very big on "going green" in all aspects of my life, and that even includes the books I read to my kids. 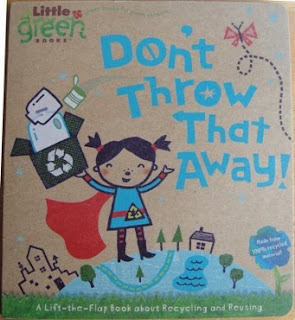 Little Green Books is a new eco-friendly book series from Simon & Schuster Children's Publishing Division. These books cover a variety of subjects, teaching children about the dangers of global warming, the benefits of recycling, what they can do to help endangered animals, and much more. 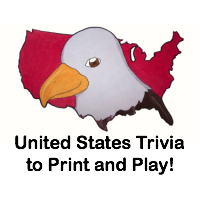 What sets their books apart from other "green" books is that in addition to the themes, the manufacturing of these books is also environmentally friendly. Little Green Books are printed on recycled materials with vegetable or soy inks. These books plant the seeds for earth-friendly living at an early age. We were sent three Little Green Books: Don't Throw That Away!, This Is Our World, and What Do You See?. Don't Throw That Away! is a lift-the-flap book about recycling and reusing for kids 4-6 years old. This book gives some wonderful ideas on what to do with objects to prevent them from becoming trash. For example, an old jar can be turned into a vase for flowers and some tin cans would make a great new musical instrument. When my kids are older, I am sure they will love to try out some of these ideas! For me, I like that the book is made from 100% recycled material. The pictures are also colorful and engaging which feature a recycling "superhero", who's a young girl that kids can relate with. You can buy "Don't Throw That Away!" on Amazon.com for $6.99 ($$$). We give this book a 10/10! 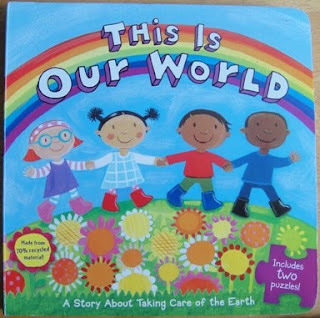 This Is Our World is a story for ages 4-6 about taking care of the earth. The best part of this book are the puzzle pieces scattered throughout. You can take the pieces and make them into two puzzles at the end of the book, just flip over the pieces for the second puzzle. This book gives ideas on how we can help make the Earth a better place to live, such as planting trees and planting a vegetable garden. The colorful pictures are mainly of children, so kids can see that they really can make a difference. You can buy "This Is Our World" on Amazon.com for $7.99 ($$$). We give this book a 10/10! What Do You See? is a lift-the-flap book for kids aged 2-5 that talks about endangered animals. This book has a short creative poem about each animal before lifting the flap to see what animal we're talking about. At the end, the endangered animals tell children that they cannot survive without them. The illustrations of the animals are vibrant, and the book itself is made from 100% recycled material. You can buy "What Do You See?" on Amazon.com for $6.99 ($$$). We give this book a 10/10! How would you like to win the same Little Green Books that I received? First, visit the Little Green Books website. Then, comment here and tell me which book is your favorite. 2) Follow @TheTwinners on Twitter and comment here with your Twitter screenname. 3) Tweet the following message once per day and comment here each time with the permalink to your tweet for 1 additional entry per tweet. 4) Become a fan of The Twinners Reviews & Giveaways on Facebook. 5) Follow this blog on Networked Blogs. 6) Follow my personal blog, Elana's Musings. 7) Subscribe to The Twinners emails and comment here after you've confirmed your subscription. 9) Add my button to your blog and comment with the URL of your blog for 2 additional entries (be sure to leave two separate comments). 11) Enter my Baby Pool and comment here with the name you used to guess. 12) Join Swagbucks using this link. 13) Vote for this blog by clicking each of the following icons for 1 additional entry per click (a total of 5 additional entries), and you can do this once per day and make sure to comment on all giveaways you're in! Make sure to comment 5 times every day that you click to let me know you clicked for each one. This giveaway will close on September 17, 2010 at midnight. We were sent these three Little Green Books free of charge for the sole purpose of this review; no other compensation was received. All opinions expressed are my own. My favorite book is the cute 'Little Monkey'. The cover is so pretty and it's made out of supersoft fleece cloth! Amazing! I like the Little Panda book. I voted for you on the most popular mom blogs on the web. I voted for you on top mommy blogger. I voted for you on top 100 blogs and websites. I voted for you on baby boutiques. i like "its easy to be green"
I like the book called What do You See? I'm a fan on facebook of The Twinners. I think I would like Plant your own garden. I like the Little Panda book. I love pandas! I like the My First Garden book! Voted at Top Mommy Blogs! Voted at Top Baby Blogs! Voted at Top Mommy Blogger! Voted at Top 100 Blogs and Websites!